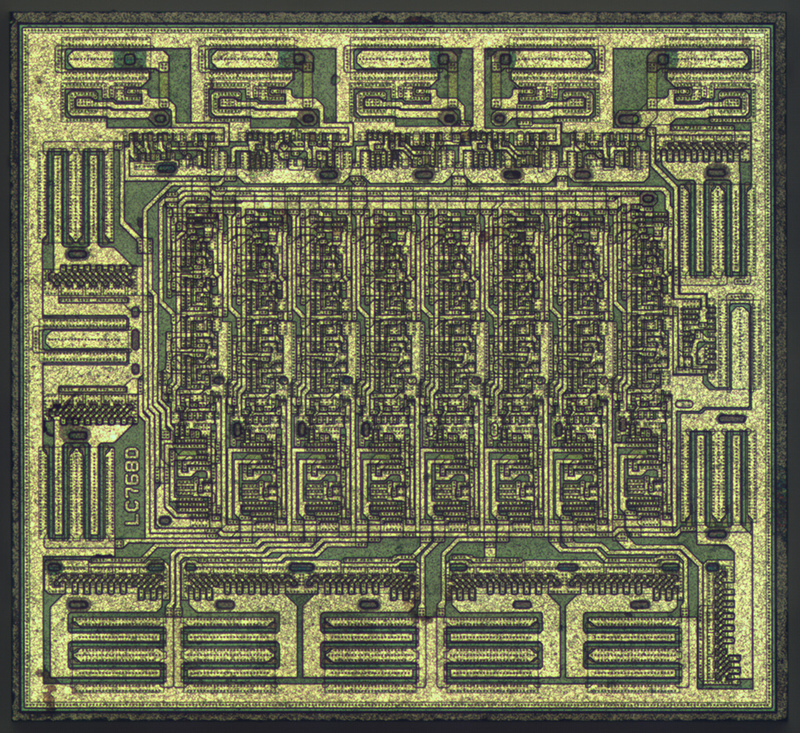 NXP 74HC595 - yet another standard logic shift register. You may compare it to Fairchild 74VHC595 and OnSemi 74HC595. 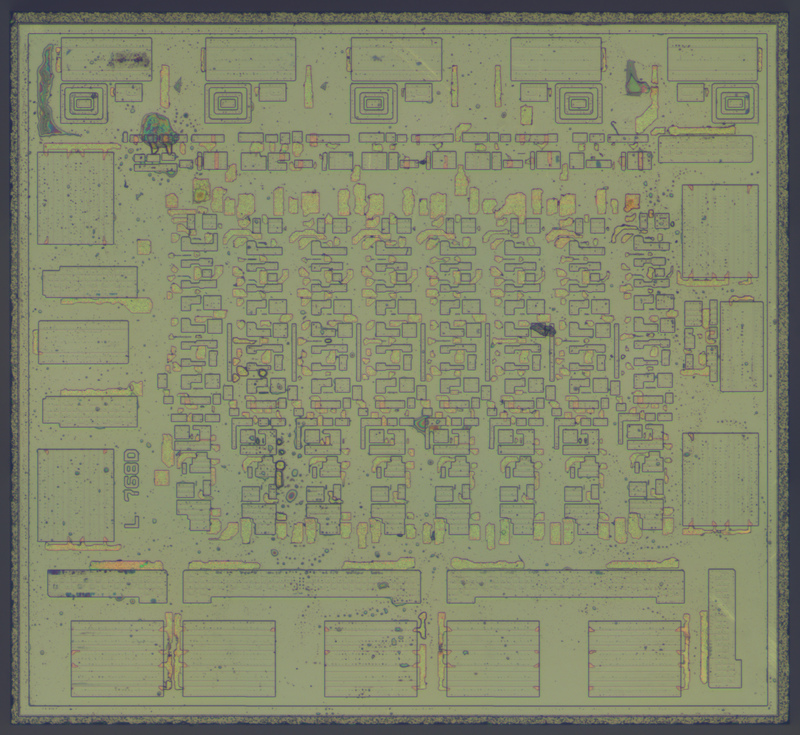 Die size 953x866 µm, 2µm manufacturing technology.